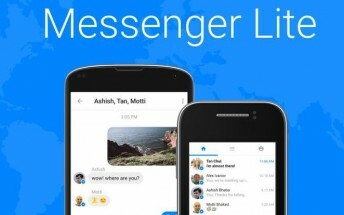 The Facebook Messenger Lite app for Android - which was unveiled by the company back in October last year - has hit a new milestone. Its Google Play listing now reveals it has scored over 100 million installs. The app was built with an aim to operate with as little resources as possible (especially data). So in line with the focus, it was made available in a handful of developing countries first, before expanding globally.